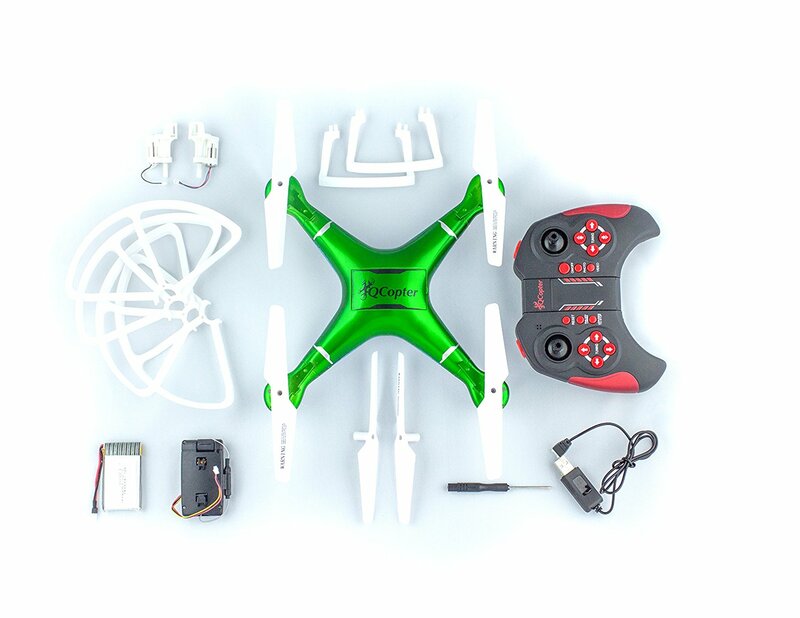 QUADCOPTERS 30-MINUTES OF UNMATCHED FLIGHT TIME No More Down Time; Best Drone Battery Capacity 15 Minutes of Flight Time Each Battery Including a Bonus Battery Allows for a Great 30-Minute Drone Experience; Most Other Drones have only 1 Battery with 6-8 minutes of Flight Time Which Can be Very Frustrating Charging your Battery for 2 Hours for Drones for Kids and Adults Waiting to Fly your Drone Again! 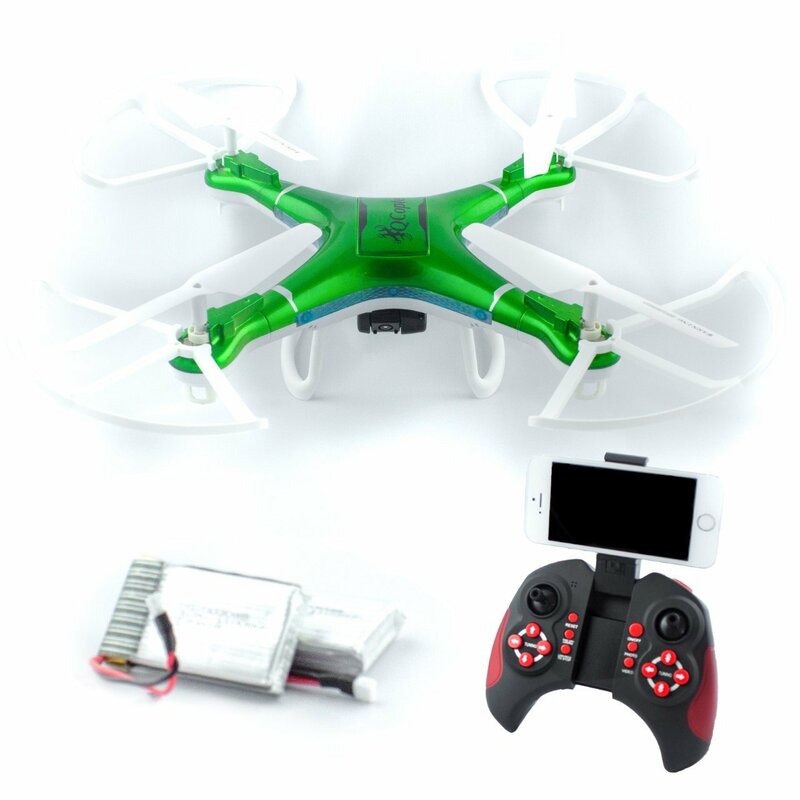 FPV WiFi HD DRONES WITH CAMERA IN REAL TIME; Enjoy Taking Videos and Photos from your Smart Phone and Posting and Sharing with Friends and Family; Drone Camera Includes Phone App and Takes Photos from the Drone Controller or Directly from your Apple IPhone or Samsung Phone: RC Toy Drones with Camera Live Video Allows for a Birds-Eye Photos and Videos. Enjoy the View! 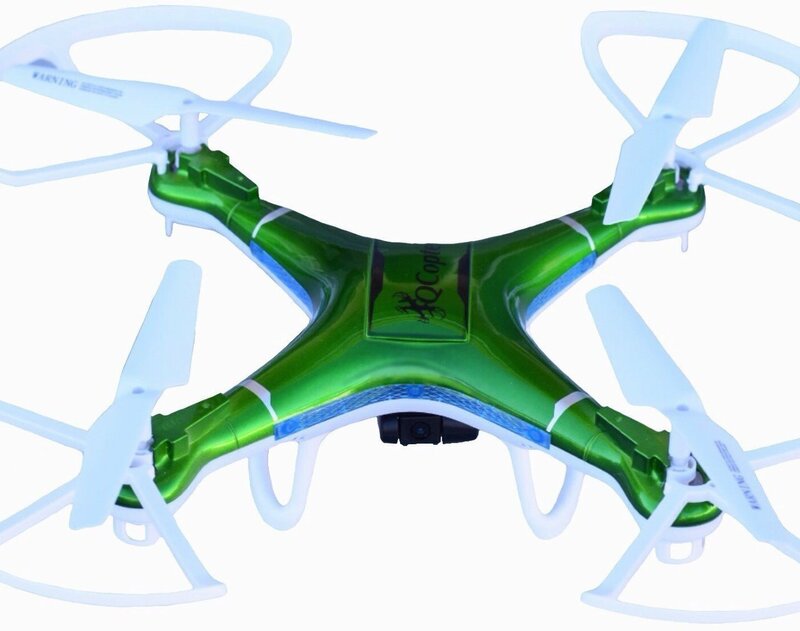 QUAD ALTITUDE HOVERING FEATURE and STABLE DRONE DESIGN of Quadcopters Gyrocopters Provides Flight Stability; Quad has 360-Eversion Feature for Flips and RTF Function; Easy Handling Drone Offers the Best Quality Drones for Kids and Beginners; Brilliant Metallic Colored Drones and LED Lights; Custom Paint Drones with Awesome Colorful LED lights on Flying Drone Enhances Night Illumination; RC Helicopter Quadcopters Lights will WOW your Family, Friends and Neighbors; Enjoy the Night Light Show!